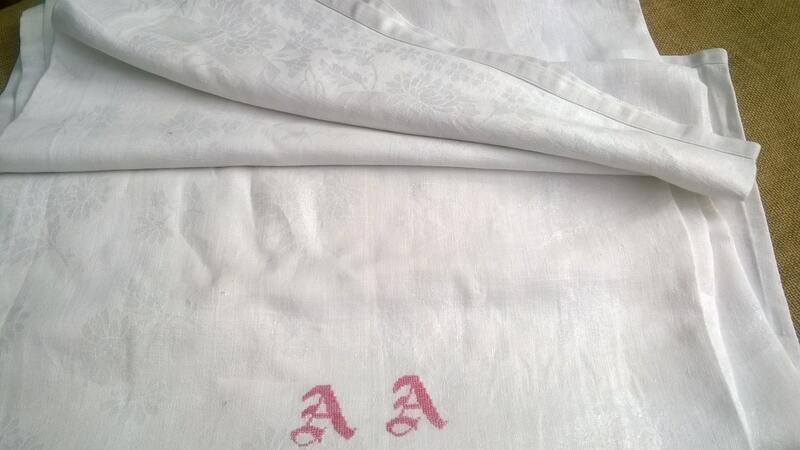 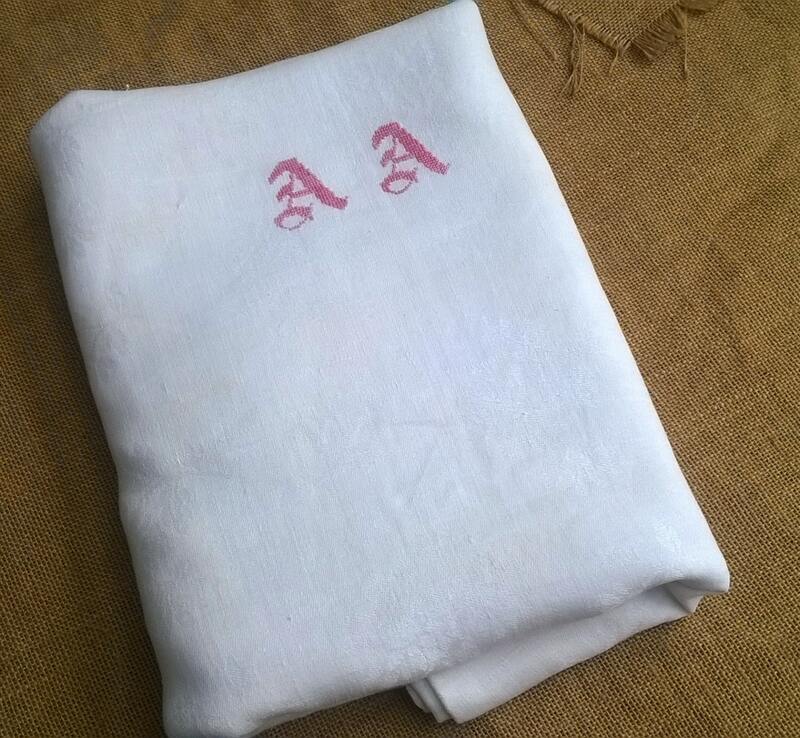 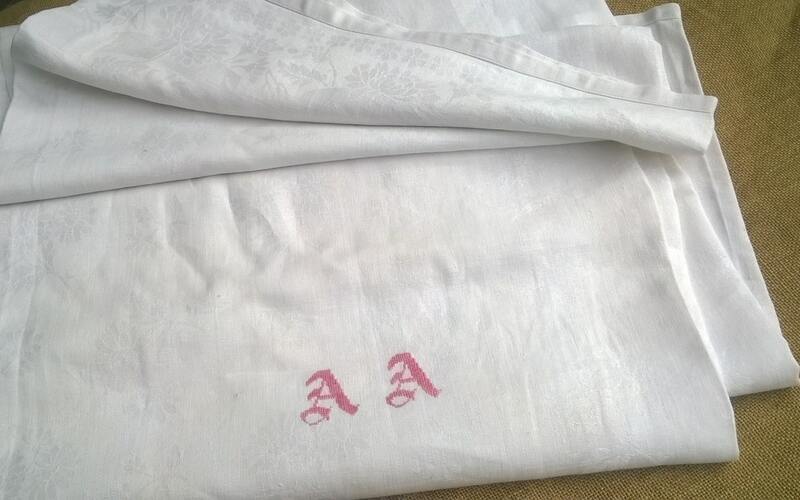 Gorgeous White Victorian Damask Metis Linen Tablecloth .Red Monogram hand embroidered . 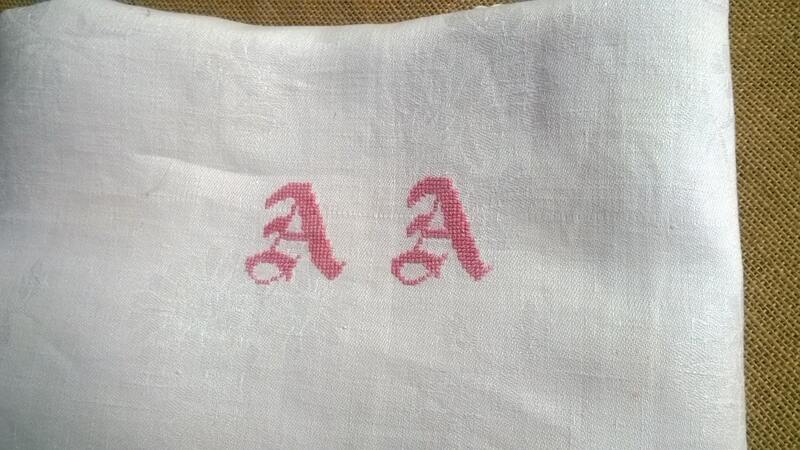 Vintage French Handmade from late 1800's. 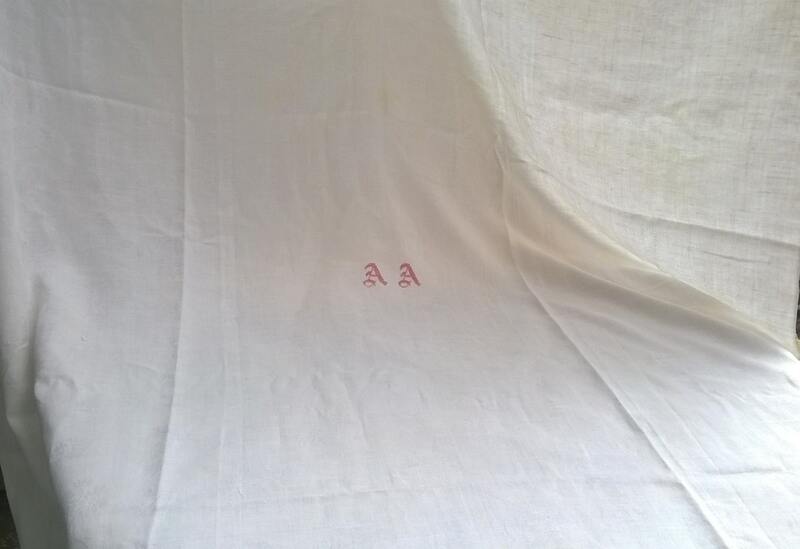 Fabric in good vintage condition for its age with light spots.